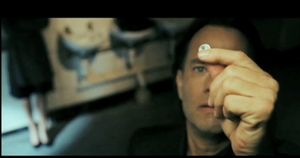 In the 2003 book (Amazon) and 2006 movie "The Da Vinci Code" (IMDB, Netflix) they had what was then a science fiction device a "Blue Dot" that could be stuck on an object and you could remotely track the location of that object. It's now 2014 and there are a number of working devices, maybe not as small and with as much capability as the fictional version, but nonetheless workable. Reality Check: A device like in the movie could conceivably be made by using a GPS receiver in order for the tag to get it's location and a satellite phone to transmit the tags location. An Iridium phone might be used to do this or one of the purpose built GPS tracking devices that use a cell phone (only works were there's cell coverage). But there's no way to make it as small as the fictional device now or in the foreseeable future. At the low (typically $20) end are devices (key finders) that use 433 MHz transmitters like used in car remote locking key fobs. The problem with them is the battery tends to last about a month and as it dies the fob makes some beeping sounds. I'm guessing that if this happens when you are asleep and don't hear it, then the fob is worthless, i.e. it will do nothing when you need it. The battery life is short because they need to receive all the time and may not be designed like the PRC-68 radio where the receiver is only on for maybe 1% of the time and the other 99% is spent in very low power hibernation. 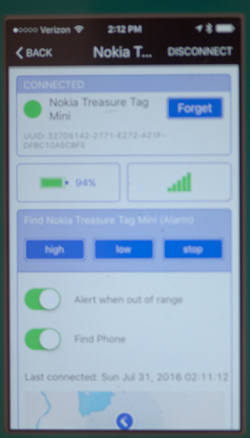 In the middle are devices that use Blue Tooth tags and a smart phone. These tags have a range in the 30 to 100 foot range and the battery may last 6 months to a year. As far as I can tell so far (only been studying these for some hours) these devices are transmitting all the time (although that may mean once every minute or on some timer) and that's mandatory for Leash mode operation (see below). I expect Blue Tooth devices have been designed for very low power consumption and even have low power transmit modes for when the two units are very close, like for a Blue Tooth headset. At the high end are systems that do not use smart phones but rather dedicated transmitters and receivers. These may or may not have leash/Alert mode. If not the tag is only a receiver and can have long battery life. There are a few common ways to use these tags. Note: Some tags have a button and others do not. The button can support Phone Finder or act as a remote camera shutter release. I think most (all?) of the Bluetooth tags have a beeper. It may be that the app is generic. That's so say you might be able to use a third party app. More to come. But to test this you need multiple phones: Apple, Android, Windows. If you loose your car keys and want to find them. Run the app and it will tell you the signal strength so that as you move you can locate them using a closer or farther display on your smart phone, not a directional display. This mode is not available on the low cost key finders. Smart phones have GPS so can record the phone GPS location when the signal from a tag is no longer being received. They you could go back to the last know position using the app and the phones GPS location. Set some distance (signal strength) and if the object gets too far away the app will sound an alarm. If you leave the tagged object behind when you get some distance away the alarm sounds. Note this does no good if you leave your smart phone behind. Press a button in the app or on the base unit and the object tag will beep and/or an LED will flash to help you locate the object. This is what key finders do as well as the others. The tag makes a phone call periodically reporting it's position. The GPS based units typically do this. This mode is not available on the low cost key finders or Blue Tooth tags. Pressing a button on the tag activates a very loud signal on the base. It's problematical if the speaker on a smart phone is loud enough for this app. An alternate panic mode would be for the smart phone to call a list of numbers, maybe 911 & some relatives to let them know you needed help. This is called an Emergency Dialer and they have been around for a long time. Many of the Emergency Dialers have a tag that worn on a necklace with a red panic button. The more sophisticated models have a "Fall Detector" that dials whenever you fall. Note: If you store a phone number in your cell phone with the name ICE the there's an app that will call that number. Some of the Blue Tooth tags have a button which when pressed rings the phone. The app gets started when the phone rings and can switch from vibrate to ring mode, if you allow this in the app setup. Without this feature the idea of calling the smart phone is not worth much since you can call your smart phone from any other phone. Putting a tag to sleep when you don't want it working is a lot easier than removing the battery. By reporting your tag as stolen to the vendor others running their app will be on the lookout for your tag ID. Consists of two parts. A applique for the iPhone and tags. It's not clear what technology is used. There's 2-way paging, i.e. you can press a button on the tag and it will ring the iPhone app. Currently (2014) Android is not supported. Up to 8 tags per phone. Four button transmitter with 4 buttons and 4 tags. Poor reviews. Alarm goes off with both units in pockets. A one inch diameter Blue Tooth tag with a button. Press the button on the tag to ring your phone (but you can do that from any phone). Like other Blue Tooth tags range is about 100 feet. Paging mode. Stolen item mode works with other phones and their web page. Up to 10 different tags supported on your smart phone. $25 each, 2 for $40, 5 for $90 (less if you have a promo code). Blue Tooth based works with iPhone, Android and Blueberry apps. Typical Blue Tooth 30 to 100 foot range. Tag uses USB cable for recharging. about 7 day between charges. In Leash mode there's an option for SMS and/or email notification. With iOS only one tag, but with some smart phones up to 7 tags. This was an indiegogo crowd sourcing idea that did not get funded. A special transmitter with 4 buttons, one for each tag. Tag has a receiver and beeps. Four of the reviews I read said the alarm went off when the fob was in one pocket and the phone in another pocket. Their patented technology (20110012775) works in the 2.4 GHz ISM band (Wiki) and the hand held base unit includes a directional antenna. Note that a directional antenna this small can not easily be made for units operating a lower frequencies like the 433 MHz key finders. The Blue Tooth (Wiki) units also operate in the 2.4 GHz ISM band, but phones are designed to have omni directional antennas rather than directional antennas. Handset has 8 range LEDs and buttons for 2 tags. 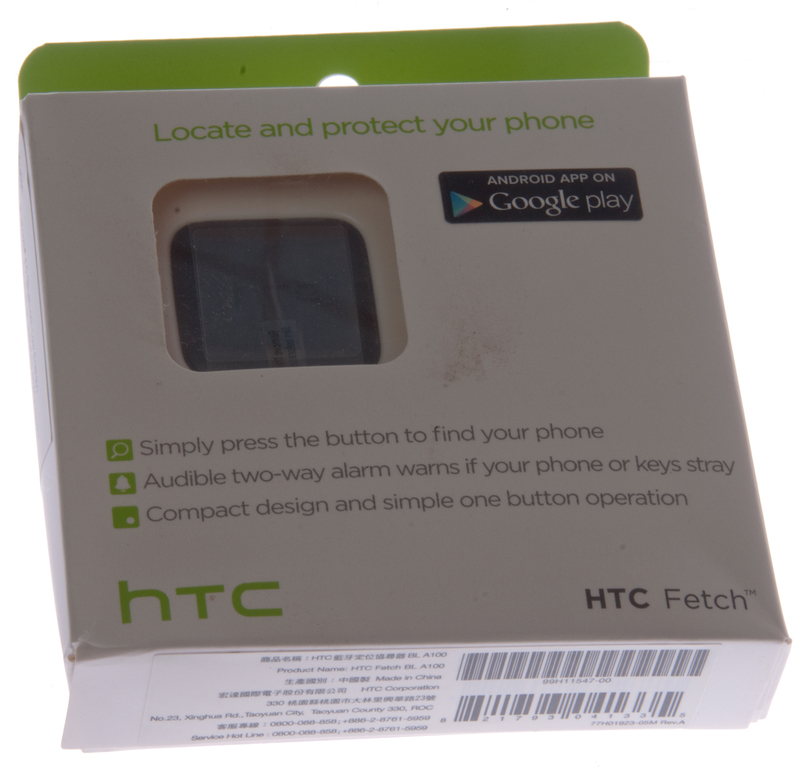 The cat locator is this one but includes the splash proof tag cover. About $65 for base and 2 tags. Alert (Leash) mode, Find/Locate mode or Panic mode up to 600 feet. The Panic mode uses a special tag that's the panic button, different from the leash - find/locate tags. Optional splash proof tag cases for pen collars or key fobs. The dog or child locator is this one but includes the splash proof tag cover. About $170 for base, 3 homing tags and 1 panic tag. Sends SMS messages to laptop (needs to be running Silverlight app) reporting GPS position. Note: Most GPS based tracking devices require a cell phone account and an account with the provider, both of which translate into a monthly charge. They do not work if the object goes out of GPS range OR out of cell coverage, i.e. it needs both signals to work. 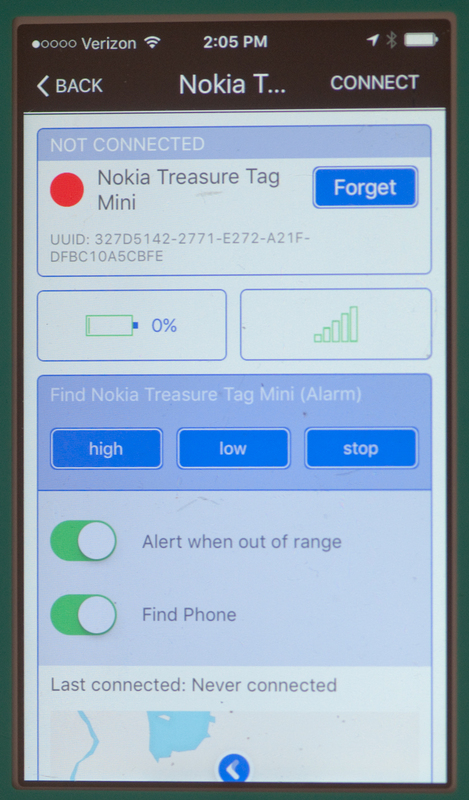 Bluetooth tag that works on Windows phones, maybe the only one that does, but it should also work on other phones using "Treasure Tag" app. Leash, find, sleep modes. 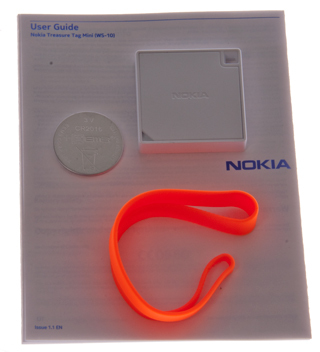 Supported by Nokia phones as well as iPhone and Android using 3rd party apps. 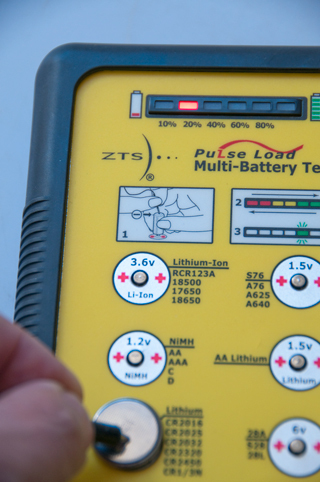 Uses the CR2032 coin cell battery, about 6 months capacity. About $30 per tag for the first generation unit? WS-2 User's Manual.pdf - Full size + NFC + longer battery life, the WS-10 is half the thickness. NFC (Wiki) is not required for operation, but may add some functionality. Only one phone at a time and up to 4 tags. No NFC on the Mini WS-10. Even after installing a new CR2016 battery, my Android cell phone can not find a new Bluetooth device. Next to try it on an Apple product. WS-10 Fig 2 The strap goes through the hole in upper right. Not around outside like on the WS-2. 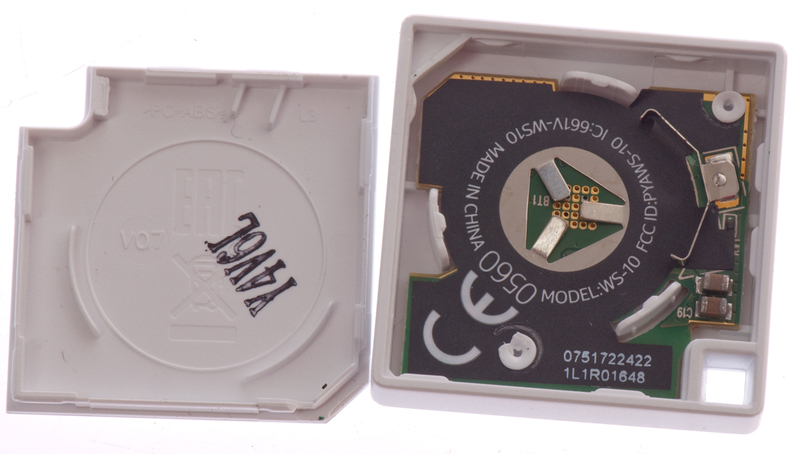 WS-10 Fig3 Inside 2016 battery installs + up. 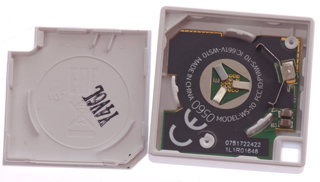 WS-10 Fig 4 came with dead battery. 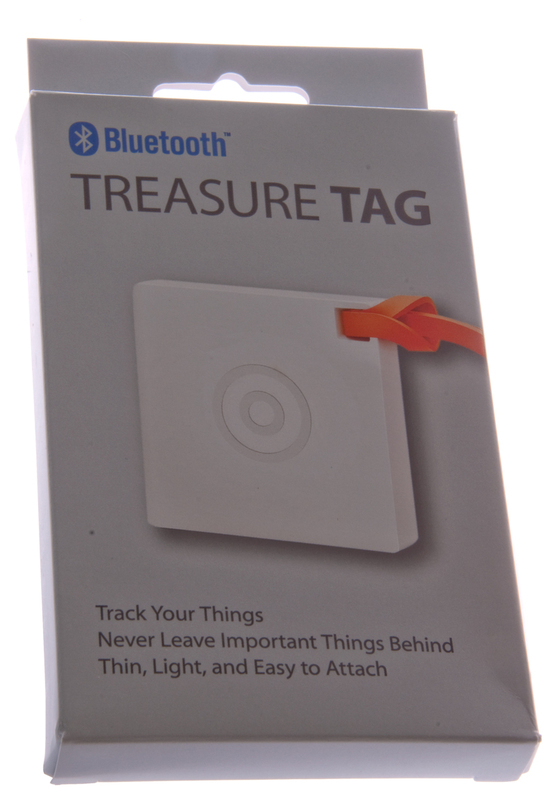 A Bluetooth tag that works with Apple and Android apps. The range is on the order of 100 feet. Also have a AC power meter that just plugs into a wall outlet and using Blue Tooth reports power usage to your smart phone. These are small sealed tags based on Blue Tooth (about 100 ft range). Has Find and Page modes. Supposed to ship later in 2014. About $20 per tag. The tags are sealed so when the battery goes dead you can either buy a new tag or if there's been a price increase then trade in your old tag but still pay for a new tag (maybe a little discount?). Projected annual tag replacement. 2018 October - announced Pro & Mate tags with replaceable battery - about twice the size of prior Tile tags. This system consists of two parts. First is a hardware applique for a smart phone (either Apple or Android) and RFID tags. The range is on the order of 10 feet. Note RFID tags are very different than Bluetooth devices. They have a much shorter range, but the tags do not need a battery. The hardware applique is about $500. These tags require a ping from an app to stay on, so without a working app they can not be used. That does not make sense because once out of range the phone can not turn it back on if the receiver is off, poor design. There is a beta app "iTracing2" for android phone, but so far I can not find an app for Apple devices. These appear to not work. Maybe there's a third party app that works with them? July 2016 - these are on eBay for under $3 each from many vendors. They come with a CR2032 battery installed. But it is not available in the App Store. I did find "iTracing", but it gets very bad reviews saying it's just an ad trying to get you to buy something else. 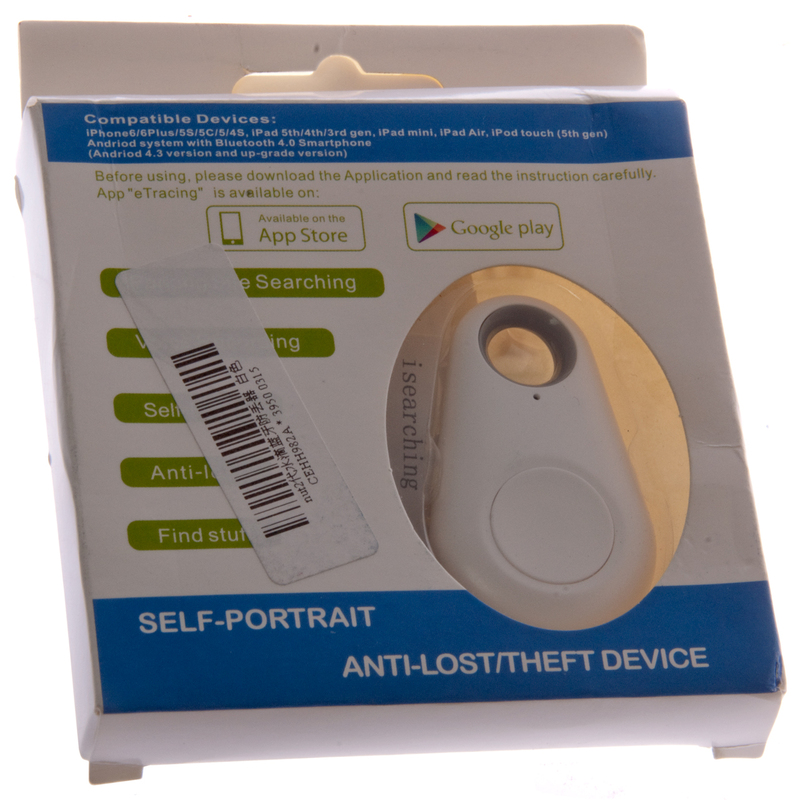 The operation of the tag is described as "Useless itag products None of them work and all disconnect randomly which is embarrassing when it disconnects in public please don't buy this product as it a piece of junk"
There is also github beta version: "iTracing2" that gets better reviews. But it's only for android devices. Does not support camera triggering. It's also on github so maybe the android users are behind it? First activate the tag by pressing the button and holding it down until it beeps twice and the LED flashes (about 3 seconds). Attach tag to something you want to locate. Go to Bluetooth menu in your phone. See available device MLE-15, Click on MLE-15 to pair to it. Get message Couldn't pair with MLE-15 because of an incorrect PIN or passkey. Click OK. The first time I tried this with the tag very close to the phone the tag beeped until I turned it off. The second time, with the tag about 15 feet away, after about 16 seconds tag beeped once. The third time I tried it took maybe a minute or two after the OK not paired for the tag to beep once. To turn off tag: Press button once to wake it up. Press and hold button until a single long beep. I checked the CR2032 battery with a ZTS MBT-1 and is showed maximum charge, so this is not a battery problem. After removing the battery to test it. Then turning on the tag, the next time I tried to pair it started beeping before I pressed OK to the failed to pair message. After clicking OK and waiting for a couple of minutes nothing happened, but the phone screen turned off. When I touched the phone screen the tag made a one second beep. The tag has turned itself off, i.e. a quick press does nothing. It should make a quick beep and the LED should blink. Turned tag on. Refreshed the available Bluetoth devices and MLE-15 shows up. Touching MLE-15 to pair it 11:18:15 . . . . 11:18:35 tag starts beeping once per second . . . 11:19:12 beeps stop (beeps for about 35 seconds). Tag is still on. Try pairing again . . . 11:20 . . . . again tag starts beeping for 40 seconds. Pressed OK for not pairing. Again . . . if while the tag is beeping you quickly press the tag button it will stop beeping. Again . . . if on the phone you press OK while the tag is beeping nothing happens. Again . . . if after the tag stops beeping by itself, if you press MLE-15 to try another pairing . . . the fail to pair window opens at the same time as the tag starts beeping. So, Android devices can use one tag without an app. NO! After a few minutes the tag turns itself off! Click to pair.. the first tag is beeping, second tag does nothing.....both tags are on . . . going back into Bluetooth menu now shows to listings, both the same, MLE-15. Try to pair the bottom listing . . . the first tag beeps . . . try pairing top listing after beeping stops . . the second tag now is beeping. So, when a new tag is added it shows up at the top of the list of tags. But when starting the phone with 3 tags on, the list only shows a single tag. After a while the second tag starts beeping, the first tag turned off. Refreshing the BLuetooth list shows 2 MLE-15 tags. Turning on the first tag and refreshing the list shows . . . two tags. Trying to pair the top MLE-15 . . . tag 1 beeping and tag 2 turned off. The iPad Bluetooth screen shows "other devices" with the wheel spinning for a long time (some minutes) the tag turns off, i.e. there is a long beep. So it looks like apple products need an app. about $6 each. Came with a good CR2032 battery. All that was needed was to pull the tab, but I opened it and tested the battery because the battery on the new in box WS-10 was dead. Shows up in Android phone Bluetooth. 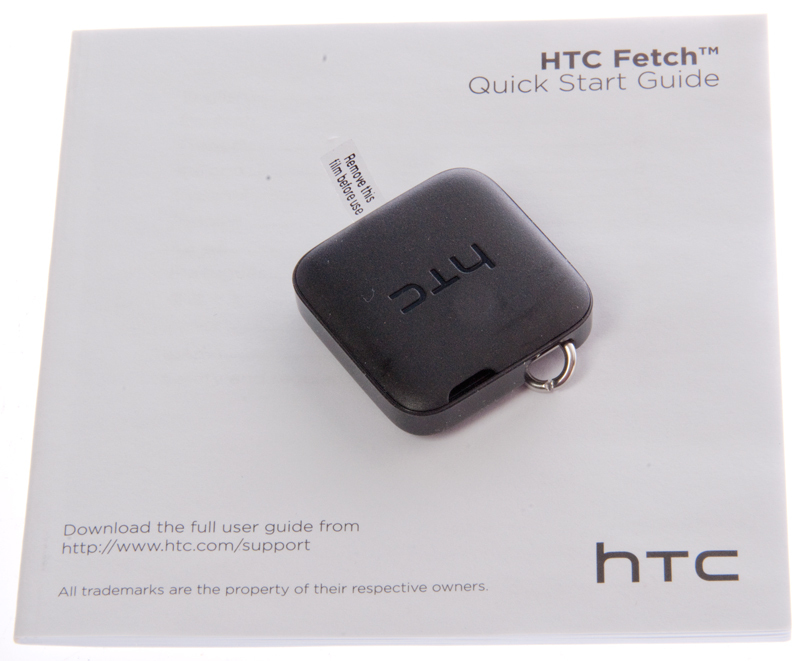 I'm able to pair to the HTC Fetch without any app. The tag seems to not work when placed on a keyring. It disconnected after about 3 miles of driving. When trying to connect the tag would not pair while on the keyring. So worthless to find keys. Maybe would work on a purse? FasTrak Vehicle ID Transponder - is an active transponder, not an RF ID tag.